If you’re reading this, we’ll assume you enjoy olive oil almost as much as we do at Filippo Berio! But do you know when it’s produced? 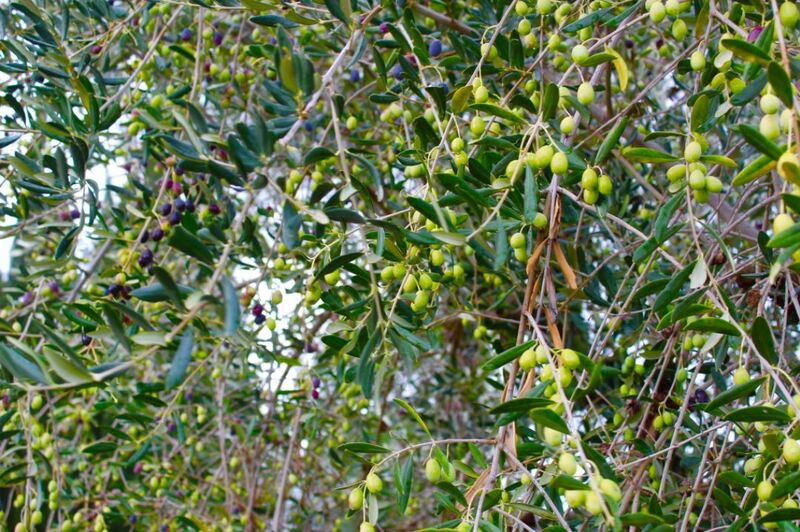 In Italy, the olive harvest usually commences in late October and, at the latest, finishes in January. Italians prefer to harvest early to achieve a ‘green’, peppery flavour, which means the oil can be used as a condiment rather than a cooking ingredient. The main olive oil producing regions in Italy are Puglia and Sicily – Tuscany makes up only 4% of production. Each region has its own climate, varieties and soils, so olive oil flavours vary greatly from grove to grove. To many Italian families, the harvest is an important social event. Families and friends travel from far and wide to pick olives and eat together in the fields. 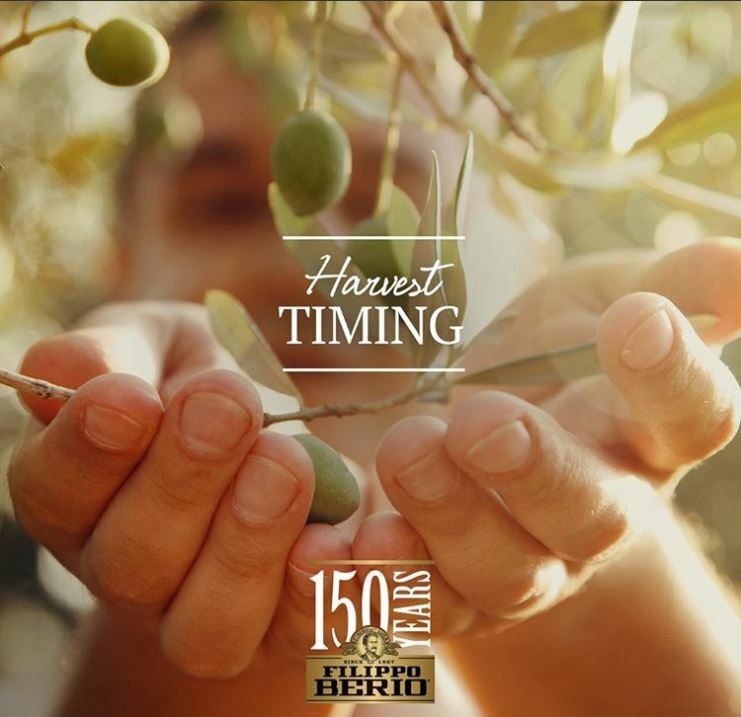 Once the olives have been harvested, pressed, crushed and made into ‘liquid gold’ then, traditionally, the farmers will invite everyone who helped in the harvest to celebrate the new oil, the ‘Olio Novello’. This is why we hold a special culinary event every year in December to celebrate this Olio Novello. Our 2017 Olio Novello is now SOLD OUT but we always coincide this event near Filippo Berio’s birthday on 8th December, so keep your eyes peeled for more details next year if you want to experience this special event first hand. In November each year, we take our group of supper club hosts to visit the Filippo Berio factory in Massarosa, Tuscany to see the olive harvesting first hand. After visiting our factory, and learning the art of olive oil tasting from our master blender, we hope to inspire them to spread the word of the wonders, the versatility & health benefits of olive oil. Not only this, but to teach & encourage their guests of the sophistication of pairing different olive oils with different foods- just like wine. We were thrilled to be staying at Toscana Saporita, a cookery school in Tuscany that Filippo Berio sponsor. The head chef Sandra Lotti has a lifetime of knowledge, experience and working with our olive oil. 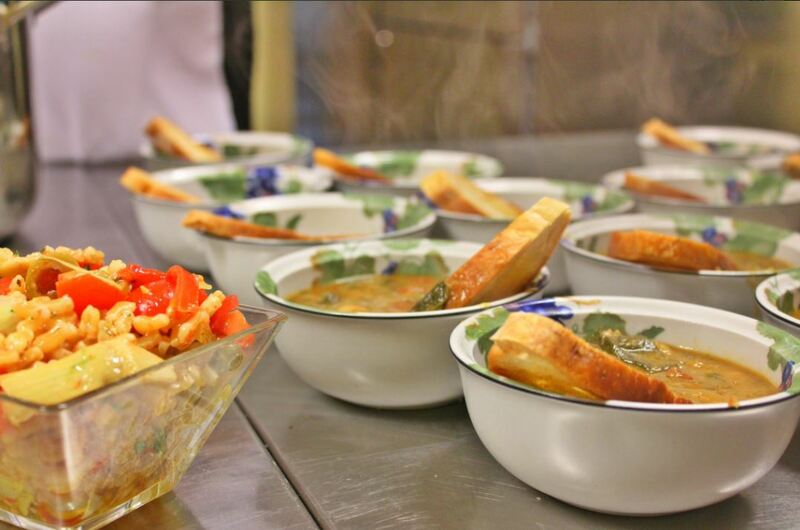 One of the most famous Tuscan dishes is Ribollita soup, which we were lucky enough to be able to prepare with Sandra. The key to this Tuscan vegetable based soup is the Olive Oil. Traditionally made to highlight the new harvest extra virgin, this was a perfect way to start the evening when celebrating our 150th anniversary harvest. From Leeds to London, to Brighton and beyond- our supperclub hosts are based all around the country, Keep your eyes on our events page & social media to find out their next events in 2018- and you never know, you might get a couple of Filippo Berio goodies to take home with you too!